The MBTA and Logan Airport give Boston transportation options. See the Subway Map for Red, Orange, Green, Blue, and Silver lines. The latest news in the Boston Globe or Boston Herald. Click Towns of Metro Boston for background and information on those parts of Boston. 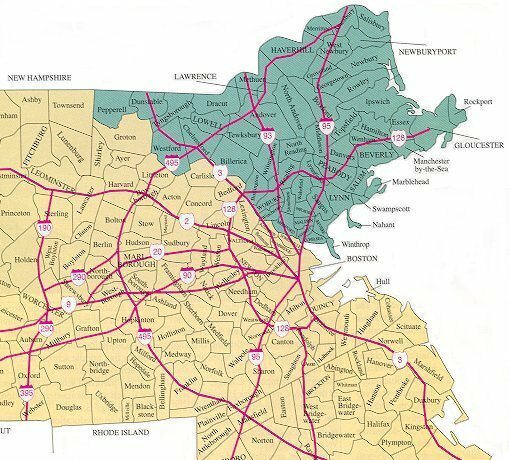 Boston towns are divided into five geographic areas. Click on any of the links under the Boston Area tab for more listings in those areas.